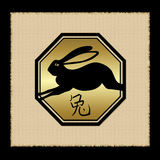 The Sagittarius Fire Rabbit is one of the most optimistic signs. No matter how bad the situation is, they can still see a positive outcome. They are adventurous creatures so they need some excitement and risk in their lives to keep them happy. People born in this sign are dynamic meaning they are prone to growth and progression. SFRs usually don’t have a problem when it comes to dealing with difficult situations or moving up in their careers. They also bring warmth to people around them making it hard for people to move away from them. Sagittarius Fire Rabbits are graceful beings. They are very polite and kind to the point that it’s hard not to like them. They have an artistic nature so they tend to move towards career or hobbies that involve the arts. On the other hand, the Sagittarius Fire Rabbit can become careless. They may take more risks and ignore the consequences that come with it. If they become bored, their restless behavior will appear. The SFR is can be an aggressive character. They will push people aside to obtain what they want. If they feel that their precious time is being wasted, they will become impatient and will take things into their own hands without caring about other people’s opinions. The Sagittarius Fire Dragon is a very cunning animal. If they want to achieve something, they will find deceptive ways to make it happen. If they are obsess with some thing, they won’t stop themselves from being self-indulgent to the point that it might hurt their health or demoralize them.